Beautycounter is a U.S.-based cosmetics company whose mission is to bring safer products into the market. Beautycounter is committed to a health and safety standard that goes well beyond what’s required by the U.S. & European safety laws by banning the use of more than 1,500 questionable or harmful chemicals. Founder Gregg (female) founded the company with the intention to create products that could perform equal to any other high-end conventional beauty or make-up product in the market while staying true to their safety standards. 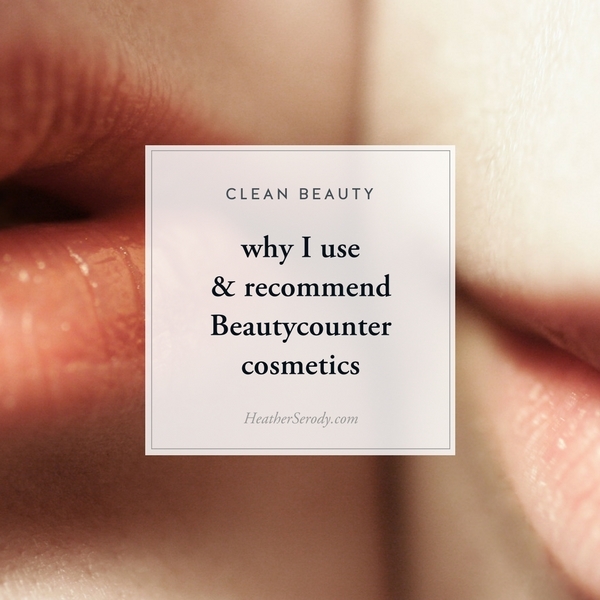 Beautycounter’s name is a play on words in that their philosophy, transparency & rigorous ingredient testing & screening for safety runs ‘counter’ to industry standards. I love that. Beautycounter is also organized as a B-corporation. B Corporations are for-profit companies certified by the nonprofit B Lab to meet rigorous standards of social and environmental performance, accountability, and transparency. I encourage you to try some Beautycounter products. About 80% of my beauty products & 90% of my makeup now consist of Beautycounter products. I truly enjoy using them for both for their performance and the peace of mind using them brings me knowing that I am using safe products and supporting a company whose mission and values align with my own. I was so impressed by Beautycounter’s mission and product performance that I have partnered up with them as a consultant/affiliate. I’m really excited to share with you some of my favorite Beautycounter skincare and makeup products. If you have questions about Beautycounter's products or are interested in joining the movement to put safer cosmetics in the hands of women worldwide and please contact me.